In an interview on VladTV, Kerry Lathan insists he only spoke to the ‘Victory Lap’ rapper as suggested by the manager of Marathon clothing store when he could not find the shirt he was hoping to buy. 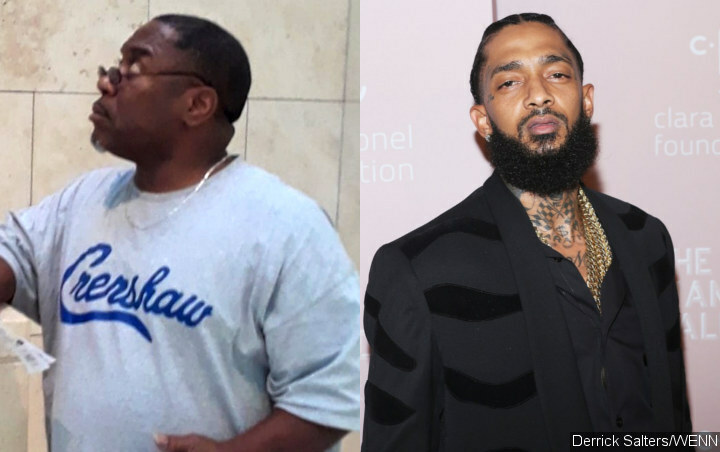 One of the men left injured by the gunman who shot and killed Nipsey Hussle insists his parole violation arrest for chatting to the rap star is bogus. Kerry Lathan, 56, was hospitalised after the “Victory Lap” star was murdered outside his Marathon clothing store in Los Angeles on March 31, and then detained by police for consorting with a rap star who had extensive links with the Rollin’ 60s street gang. As part of his parole following his release from jail on murder charges in 2018, Lathan was ordered to stay away from gang members or those with links to gangs. But in a new interview on YouTube channel VladTV, Lathan insists he had no links to Nipsey and simply bumped into him outside his Marathon clothing store, where he was hoping to buy a shirt. Lathan claims the store manager suggested he speak to Nipsey outside when he couldn’t find the item he was looking for. Holder, 29, is facing life in prison after prosecutors charged him with one count of murder and two counts of attempted murder. He has pleaded not guilty.